"Life Fiber Synchronize! Kamui Senketsu!" 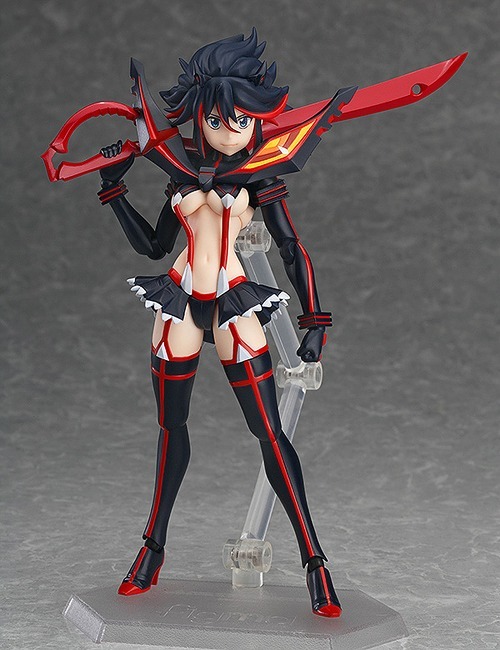 From the anime series 'Kill la Kill' comes a figma figure of the main character looking to avenge her father, Ryuko Matoi! Using the smooth yet posable joints of figma, you can act out a variety of different scenes. A flexible plastic is used for important areas, allowing proportions to be kept without compromising posability. She comes with a smiling expression, a shouting expression and an expression with clenched teeth for combat scenes. 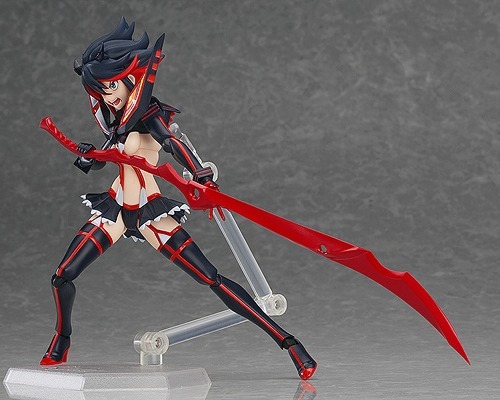 Her Scissor Blade is included in both standard form and Decapitation Mode. An articulated figma stand is included. Pre-order, now available from the following sites: CDJAPAN, HOBBYSEARCH, YESASIA, PLAY-ASIA, J-LIST, and PLAMOYA.